WordPress is the most powerful platform for developing the websites. The first things you need to think about how your site is going to look. Your site must be clean, organized and functional. For that, you will need a premium theme and WordPress is the Platform, where you can find lots of the well designed Premium Theme for your website. There are lots of top quality of premium WordPress themes available but finding the ‘best’ one can still be a challenge. We have collections of 2016’s Best WordPress Premium Theme. Here, We selected some of the premium themes, which is well designed, latest updated, good resolution, well documented, compatible with all browsers and many more features. Avada is the latest updated premium theme for 2016. Avada is well designed powerful tool with a unique set of options that makes it easy to build custom sites. It is now easier than ever to achieve your design ambitions using the brand new theme options panel! The Theme Options are more intuitive, faster and you can search for what you need. Updates are Free to anyone who has bought a license. Avada allows you to create virtually any design style without touching a single line of code. X-The Theme is also a Popular Premium X Theme combining elements of premium design and functionality, enabling you to create unlimited websites using the same core theme. Introduced in early 2014, the theme became an instant success in the Themeforest marketplace receiving positive reviews by many high profile internet marketers. The X Theme really has it all! Enfold is the user-friendliest WordPress Theme. This is a clean, super flexible and fully responsive WordPress Theme (try resizing your browser), suited for business websites, shop websites, and users who want to showcase their work on a neat portfolio site. It has many options so you can modify layout, styling, colors and fonts directly from within the backend. Enigma Version: 2.4.2 is an incredibly superfine multipurpose responsive theme with WPML Compatible & well designed. The theme has the support of “WOOCOMMERCE” You can use it for your business, portfolio, blogging or any type of site. Enigma is fully responsive that adapts your website to mobile devices and the desktop or any other devices. Enigma is Retina ready. It has 4-page layouts, 2-page templates, It has five widgets available (one sidebar, four footers), and using the sidebar widget also enables you to make a two-column design. In addition, footer widget display is automatically adjusted depending on how many are used. Enigma has Flickr as a custom widget to showing up your Flikr Photos. Custom menus to choose the menu in Primary Location that is in Header area of the site. In header area and footer of the theme offers Social Media Links to add your Social Links here. Enigma focusing on a business template, awesome Caroufredsel slider, Powerful but simple Theme Options for full CMS control option to match your logo & The website, wide layout, light & dark color skin, translation ready and much more. BRIDGE is a retina multi-purpose WordPress theme built on the very powerful and flexible framework. Choose your favorite design or style, and import pages and settings with the easy-to-use one click import feature. You can have a fully equipped website up and running within just a few minutes. Bridge is a collection of wonderful examples with tons of features. 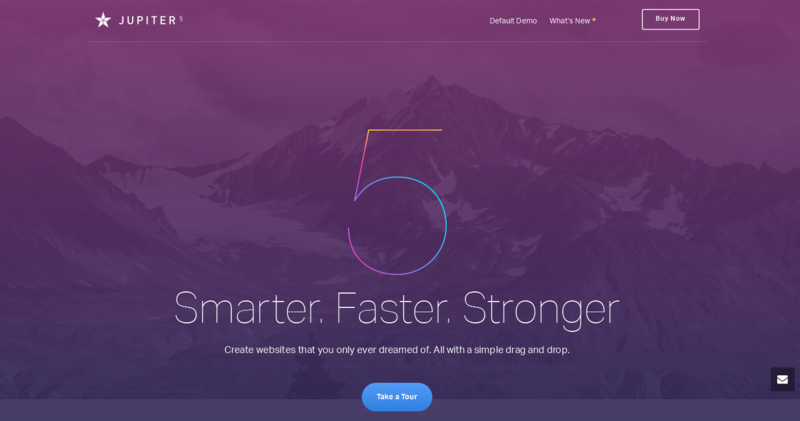 Salient is the top-selling creative theme for all time. 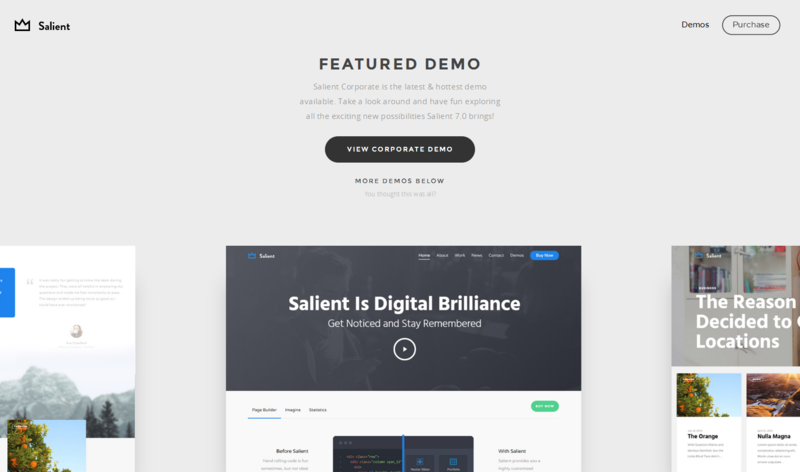 Salient is Fully responsive premium theme. This is a fully customizable theme and fully SEO optimized. These have a theme option setting where you can change your theme option just like slider option etc other option. Jupiter is a perfect solution for all kinds of businesses from corporations, shop owners and small businesses to startups, artists, and bloggers. With over 28,000 active users, Jupiter business WordPress theme gives you the power to create a unique-looking website with an easy-to-use drag and drop page builder that’s fully responsive, retina-ready, and SEO-optimised. On top of that, Jupiter comes equipped with the WooCommerce plugin to help give your business the exposure it needs by opening an online shop. 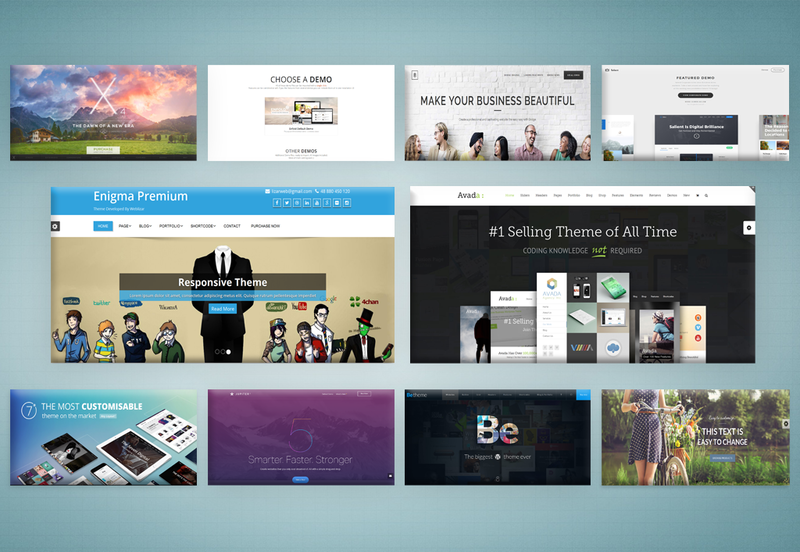 You can also choose from 50+ business website templates as a quick start. BeTheme is the best product we ever did. This is more than just WordPress theme. Such advanced options panel and Drag&Drop builder tool give unlimited possibilities. It has created 15 thematic websites so you can see how amazing this product is looking. 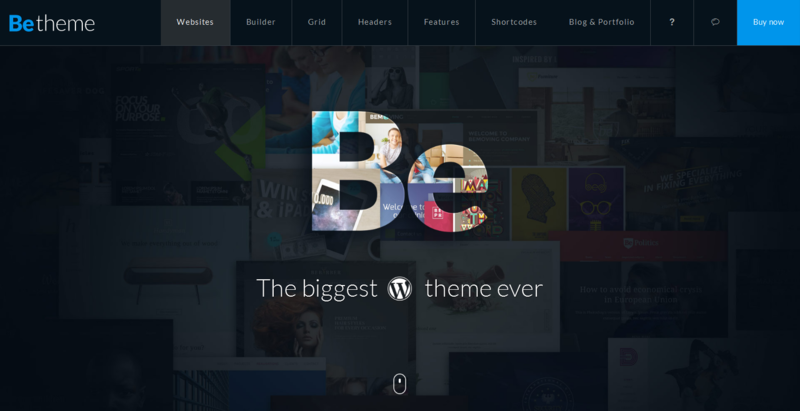 Be is full of different pre-built websites. so you can easily import any demo website within seconds at 1 click. Flatsome is a beautiful responsive theme inspired by modern eCommerce designs. Compatible with WordPress 4.5+ and WooCommerce 2.6 (and earlier versions). Left and right sidebar option is also available on product pages. Facebook login (Optional plugin) is also available. Quick Zoom product images. In Flatsome Beautiful Custom Checkout design is also available. Hope so after reading our blog 2016’s Best WordPress Premium Theme you got a latest, well designed Premium theme, which has the features you want and comfort with you. Let us know you in the comments and remark below.